Zinc plated mild steel screws with a Phillips pan head. 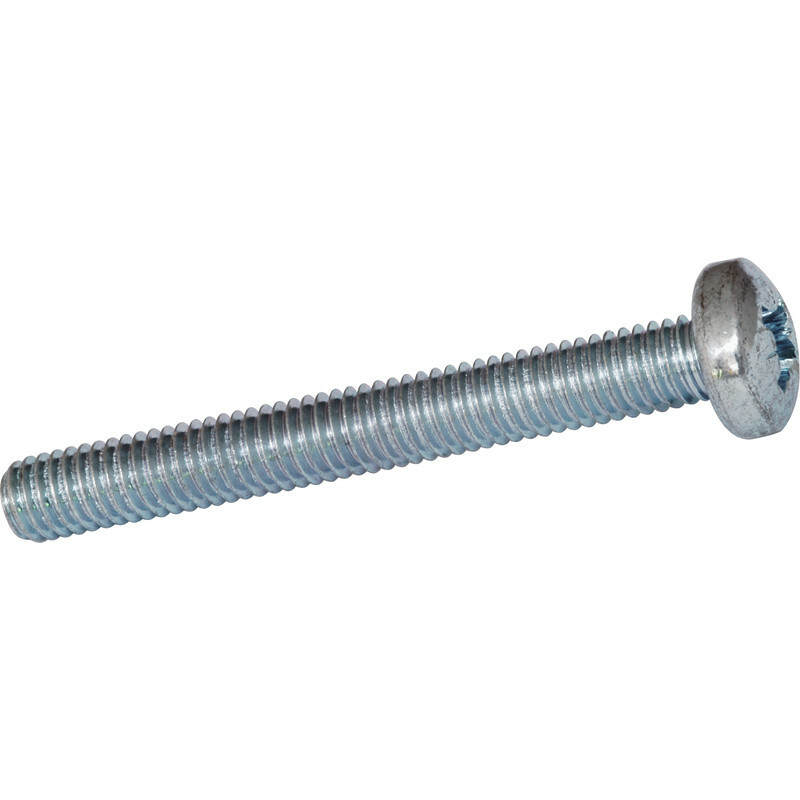 Phillips Pan Head Machine Screw M5 x 20 (25 Pack) is rated 4.5 out of 5 by 20. Rated 5 out of 5 by OAPLEA from Replacement for seized screws in wet tile cutter. Had to cut to length but was not a problem. Rated 5 out of 5 by SCA635 from Well made Get more than enough for what you pay and good quality. Rated 5 out of 5 by LPMCCnet from Does the job This M4 screw is nothing like the motorway with the same name. At 40mm long it is considerably shorter. If it's what you need it's priceless. Rated 5 out of 5 by Phil0001 from As it says on the tin Good quality, good price, enough said! Rated 4 out of 5 by Gasss from Nothing wrong. They're just bright machine screws but they work fine.